Appointments of members for the 2019 – 2021 term of the Board were gazetted on 14 December 2018. Six new members will replace retiring members and nine members of the 2016 – 2018 Board have been reappointed. The purposes, powers and procedures of the board are detailed in the QCT board charter (PDF, 72KB). The board of the Queensland College of Teachers consists of 15 members as required by the Education (Queensland College of Teachers) Act 2005. The members include nominees of key interest groups in education, as well as three elected practising teachers. Most members of the board are registered teachers. The board usually meets eight times a year. An outcomes summary is issued soon after each meeting. Wendy completed her degree in secondary education at James Cook University. 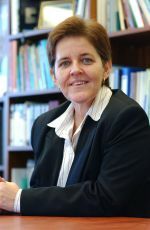 Following periods working as a teacher, curriculum developer and guidance officer, she joined the former Brisbane College of Advanced Education as a lecturer in 1989. She completed Honours and a PhD in Psychology part-time throughout this period at The University of Queensland, and her PhD was awarded in the same year BCAE became Queensland University of Technology. 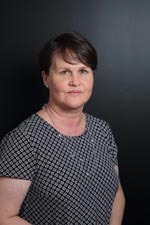 Wendy was appointed Professor and Head of School of Learning and Professional Studies in the Faculty of Education in 2002, and in 2006 was appointed Executive Dean of the Faculty. In 2016 Wendy received The Miller-Grassie Award for Outstanding Leadership from the Australian Council for Educational Leaders, and presented the Miller-Grassie Oration at the Queensland Annual Awards Celebration. In the same year, Wendy received an award from the Australian Council of Deans of Education for Outstanding Contribution to Education and the ACDE Board. Later in 2016, the QUT Council conferred the title Emeritus Professor in recognition of Wendy’s extensive leadership in, and service to, the university and to teacher education, and her significant contribution to research in the field of career development. Wendy is a graduate of the Company Directors course of the Australian Institute of Company Directors. First appointed 4 August 2017. Current appointment ends 31 December 2021. Ms Connellan is a teacher at a Brisbane Catholic primary school. First appointed 1 January 2009. Current appointment ends 31 December 2021. Ms Cresta Richardson is a classroom teacher with more than 20 years’ experience in both primary and secondary school contexts. Cresta has worked as a general classroom and Learning Support teacher as well as taking a variety of administrative roles, mostly in rural and regional settings. Cresta is a long-term activist with the Queensland Teachers’ Union and its policy-making committees. She has been elected, and is currently serving, both as a member of the QTU Executive and as a QTU Trustee. Ms Richardson also has a keen interest in Professional Standards for Teachers and is a trained Assessor and Moderator for the Highly Accomplished and Lead Teacher project. Cresta has a firm belief in the collaborative and collegial nature of teaching and teachers supporting teachers. Appointed for the term 1 January 2019 to 31 December 2021. My academic career spans over 30 years in the secondary and Vocational Education and Training (VET) sectors. I have had extensive experience in the areas of hospitality, business, initial teacher education and teacher education for VET professionals. I was appointed Dean of the School of Education and the Arts at CQUniversity in 2016 and have been working towards achieving my vision to make the school a leader in education and training through the expansion of VET options within courses and through opening up opportunities for growth with industry and community partnerships. As the Dean of School, I manage a complement of over 160 FTE located across multiple campuses of the University and across a number of diverse disciplines including Initial Teacher Education, Professional Communication, Creative Arts, Humanities and Vocational Education and Training. I was recently appointed as the ACDE Representative for regional universities to the AITSL Board and am currently the Deputy Chair/Treasurer and Secretary of the Queensland Council of Deans of Education. Mrs Natalie Clarke is a primary school trained teacher, currently teaching at Manly State School. She began teaching in the Gold Coast and Redlands area but predominantly her teaching experience has been in Logan. Natalie has taught in many year levels ranging from Prep to Year 6 and also has experience as an intervention teacher. Natalie has had experience as the QTU acting Organiser for Redlands/Logan, Metro South and Metro Central and is currently a QTU representative at her school. She is particularly interested in beginning teachers, women in education and the issues that teachers face in a contemporary society. First appointed 1 January 2016. Current appointment ends 31 December 2021. Ms Samantha Blair is an Experienced Senior Teacher currently teaching at a Brisbane state high school. 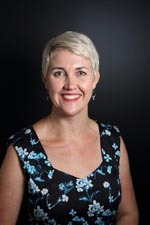 She began her career with Education Queensland as a secondary school teacher and has since worked across the primary, secondary and TAFE sectors within regional and city schools in Queensland and the Northern Territory. Samantha also spent two years working with Metropolitan Support Services, specialising in behaviour support. Samantha is a QTU Representative with an active interest in the mentoring and development of beginning teachers. Professionally, she is keen to develop her skills in relation to the inclusion of ICT in the classroom. First appointed 1 January 2012. Current appointment ends 31 December 2021. Nominee of Independent Schools Queensland (ISQ). Josephine is the Director, Education Services at Independent Schools Queensland. She leads teams who support over 200 schools, statewide, to establish high quality performance and development cultures and differentiated teaching and learning for all students. Josephine established the National Certification of Highly Accomplished and Lead Teachers (HALTs) in Queensland independent schools. 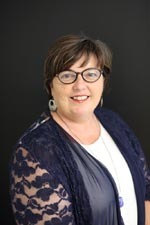 Josephine has worked as National Manager of Policy and Programs (Professional Learning) at the Australian Institute for Teaching and School Leadership (AITSL) and was responsible for a shaping phase of the Australian Curriculum with the Australian Curriculum, Assessment and Reporting Authority (ACARA). She attends meetings of AITSL's Oversight Board of the Australian Teacher Workforce Data project. As a Director on the Board of the Queensland Educational Leadership Institute (QELi) she contributes to the development of Queensland school leaders. Josephine is a member of academic advisory boards and think-tanks for education faculties at the Queensland University of Technology (QUT), Southern Cross and Griffith Universities. Josephine is a Graduate of the Australian Institute of Company Directors and the Chair of the Queensland College of Teachers Audit and Risk committee. As a current serving member on the Board of P&Cs Qld, Kaylee is passionate about public education and the role that schools play in the life and education of young people. She strongly believes that it makes a real difference when families are connected to the school community. As a parent of two young children, Kaylee understands that education and opportunity should be more than chance. Kaylee has an extensive background in organisational strategy and direction, campaigning and leadership development. She has held several senior roles in NGOs in NSW and Qld. Previously she worked in Local and State Government in the area of Community Services. Kaylee currently works part-time as a progressive Campaigner, and is the President of Currumbin Primary School P & C.
Ms Alota Lima is a Head of Department (English/Humanities/The Arts and Junior Secondary) who has worked for the Department of Education for over 27 years in a variety of promotional roles in a number of regional schools and as a classroom teacher in both metropolitan and regional Primary, Secondary, P-10 and TAFE settings. She has been an active member of the QTU since 2003 and has held various positions including Senior Regional QTU Representative, Area and State Council Representative and Branch President. Ms Lima has a strong commitment to mentoring beginning teachers, the development and encouragement of innovative and effective pedagogy, improving career pathways for experienced teachers and enhancing the professional profile of teachers. She also has a strong interest in representing and supporting the perspectives of teachers working in regional and remote contexts. Eloise is a practising teacher in a P-12 college. Her 15 years of teaching experience spans rural schools, a metropolitan primary school and now a high school. Her various roles in schools have included leadership, curriculum planning, mentoring preservice teachers and digital pedagogy. 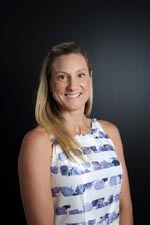 Eloise is nationally certified as a Highly Accomplished Teacher and has worked as a tutor at Sunshine Coast University. She is passionate about fostering a positive learning environment where students feel valued, encouraged, motivated and supported to be the best they can be. Eloise also strongly supports a common framework for teachers and mentor teachers. David is an experienced school leader in the Independent Schooling Sector. He has taught for 35 years in public and independent schooling sectors. He is currently the Principal of St Andrews Lutheran College, a P-12 school of more than 1200 students at Tallebudgera on the Gold Coast. He has served in an extensive range of positions, including in rural and semi-remote schools in Queensland. In the past decade, prior to commencing at St Andrews, he was Principal of Immanuel Lutheran College on the Sunshine Coast for eight years and served for two years as the Executive Director of Lutheran Education Queensland. As such, he is richly experienced in both the operational and strategic oversight of schools, including the challenges and opportunities which befall the schooling sector up to and including the Ministerial level. He has a particular interest in teacher education and ongoing professional development of teachers. As a Graduate of the Company Directors course of the Australian Institute of Company Directors, he is well equipped to understand and execute sound contemporary practice in corporate governance. David has been an ISQ Board Member since 2017. 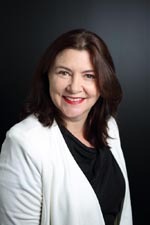 Dr Monique Beedles has 20 years of experience as a board director, including the Pharmaceutical Society of Australia, Health Quality and Complaints Commission Clinical Advisory Committee and the QUT Faculty Academic Board for Creative Industries. Monique was previously the Chairman of St Peters Lutheran College, one of Queensland’s largest independent schools. Dr Beedles is a Fellow of the Australian Institute of Company Directors and a member of the AICD Faculty. Monique’s most recent book, Asset Management for Directors, was published by AICD. Monique is Managing Director of Teak Yew. She holds a PhD in Corporate Strategy from QUT Business School and attended an Executive Education program at the Harvard Business School in 2012. Monique is currently a Non-Executive Director of the Asset Management Council, Queensland Division Director of the Asset Institute, an Industry Fellow with the QUT School of Management and Queensland Committee member of the Institute of Management Consultants. In 2011 Peter was appointed as the Director - Employee Services with Brisbane Catholic Education (BCE). Prior to commencing this role Peter was the Executive Director of Schools in the Diocese of Bathurst, NSW. Peter has also held the role of Executive Director - Mission Leadership with Mater Health Services. He has more than 25 years of experience working in education and in addition to these roles has held the roles of school Principal, Deputy Principal and a teacher in diocesan and religious institute schools. Ms Janita Valentine is the Executive Director, Organisational Transformation and Capability in the Department of Education. In this role she is responsible for the design and implementation of strategic programs including Highly Accomplished and Lead Teacher, Teaching Queensland’s Future, Diversity and Employee Engagement and Learning and Development. 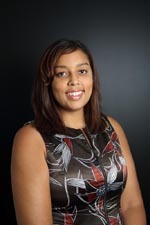 Janita is a human resources professional with significant experience in executive leadership roles within the public sector and brings experience in strategic and operational planning, leadership and capability, strategic human resources, brand and community engagement, workplace health and safety and change management. 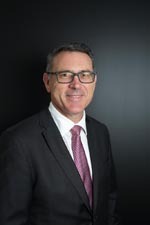 Bryce Goldburg is the Dean of Studies at The Southport School, an Executive member of the Independent Education Union – Queensland Northern Territory, and a practising teacher. Bryce has degrees in Applied Science, Educational Studies, and Leadership, enabling him to work with and for his teaching colleagues. He has always been a teacher and unionist, and was awarded the Queensland Independent Education Union Founders Award for his involvement in 2017. Bryce is passionate about teacher wellbeing and is mindful of the ever-expanding role of teachers. He is currently a member of the Anglican Working Party on HAT and LT, and the convenor of the IEU-QNT Industrial Committee. Bryce hopes to bring emotional intelligence and more than 30 years of teaching interactions to the Board.